I was born and raised in northern California and spent my formative years in Santa Cruz when Santa Cruz was a sleepy little beach town. That’s where I met Bill who was also raised in Santa Cruz. 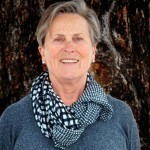 After nursing school I settled in Critical Care and then in Nephrology nursing for the next 27 years until joining my husband in founding Community Real Estate in McCall in 2003. Bill’s experience was in the new community housing market and was hired by Pete O’Neill to manage sales and marketing at Spring Mountain Ranch and that is how we made our way to the Idaho mountain beach town of McCall after just 3 years in Boise. Hiking and snowshoeing with my Vizslas, kids and grandkids, enjoying neighborhood friends and family, wine making and drinking, Pilates and welcoming new members of the community has become my pastime, my enjoyment and my work. After his passing in early 2016 and with the support of loving family and friends, and dedicated colleagues I decided to simplify and to have more time to enjoy my life and relationships and to serve and assist my clients to find their homes in McCall. 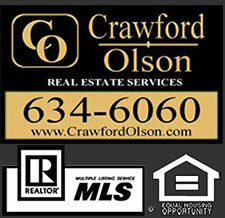 This year along with 5 others I joined with the agents at Crawford Olson Real Estate. For the past almost 14 years I have lived in Jug Mountain Ranch and really feel a part of a community that has grown to over 50 families that enjoy the high mountains, fresh air and quality of life that Jug Mountain Ranch and McCall offer.